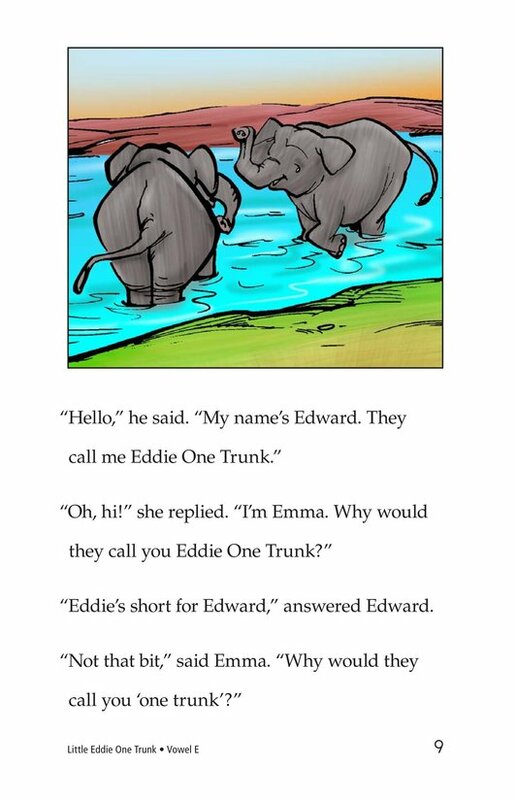 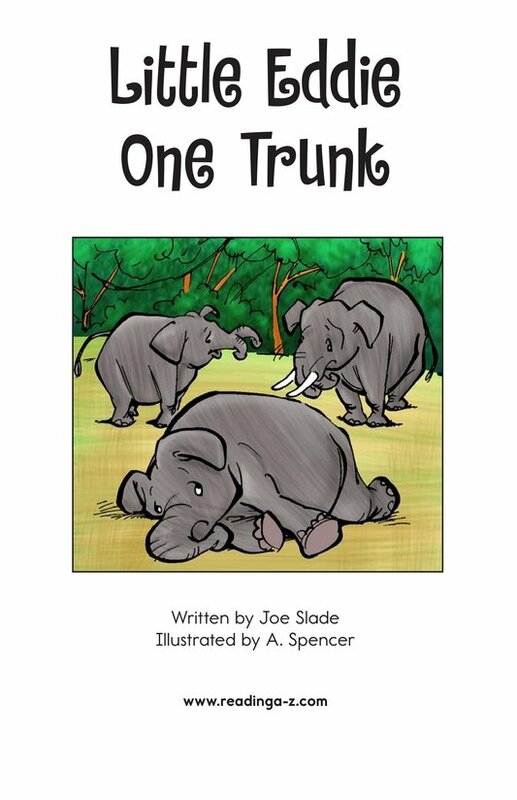 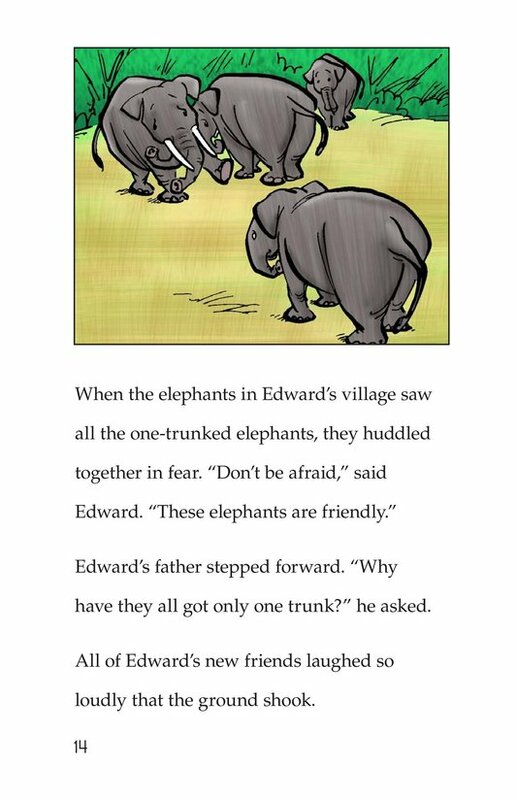 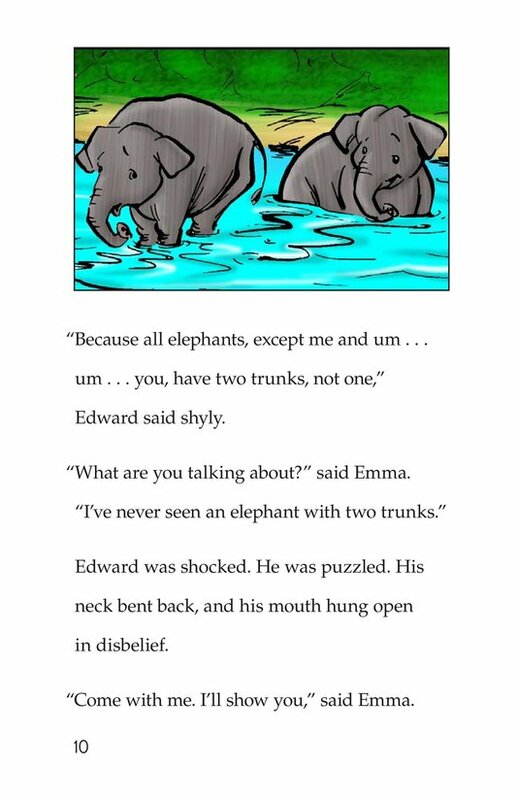 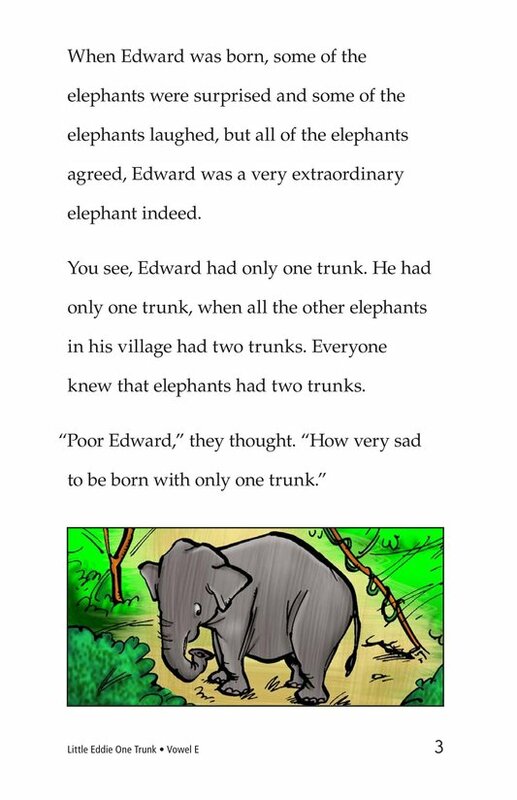 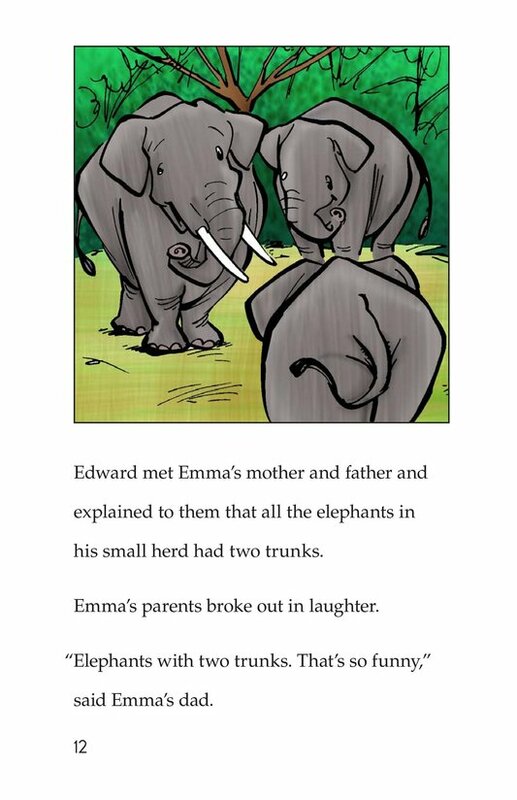 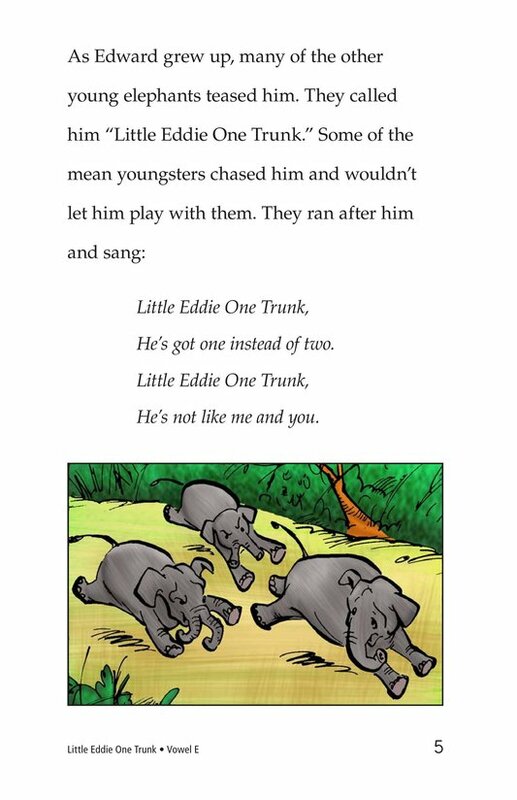 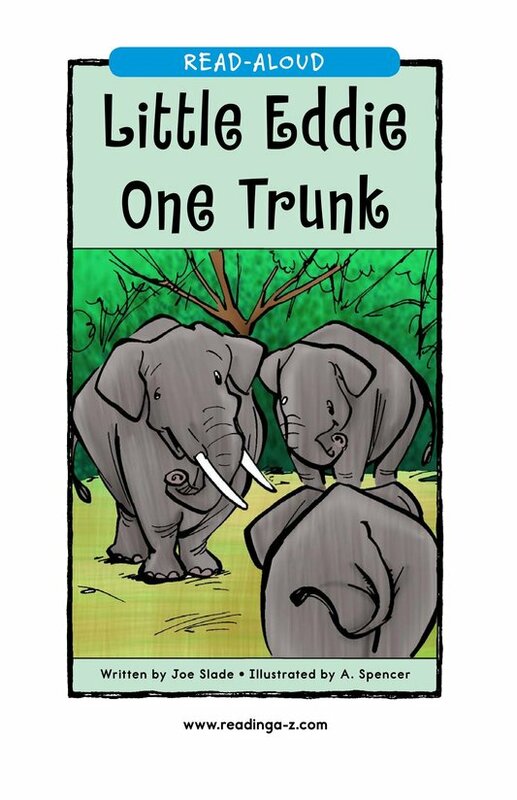 Edward the elephant is the only one in his herd with one trunk-all the other elephants have two trunks. 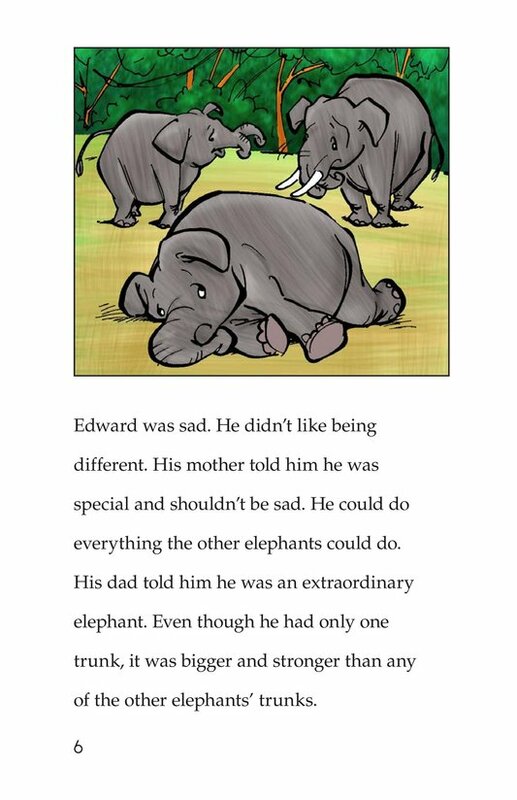 Edward is lonely and tired of being teased. 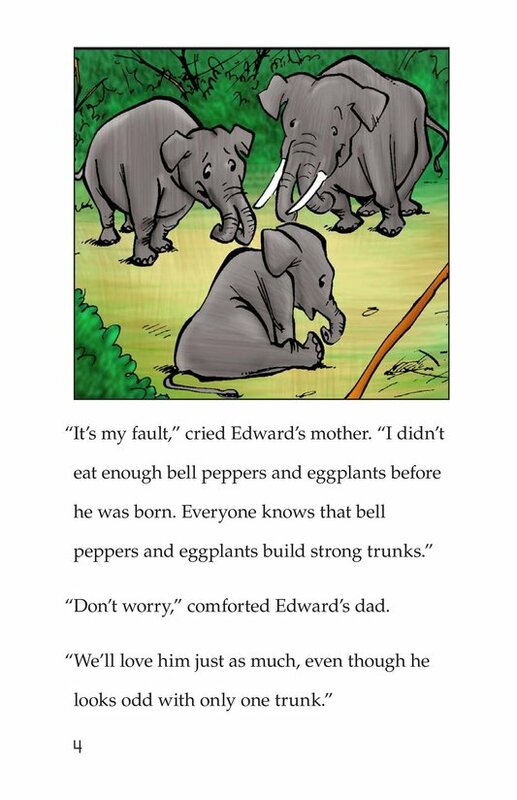 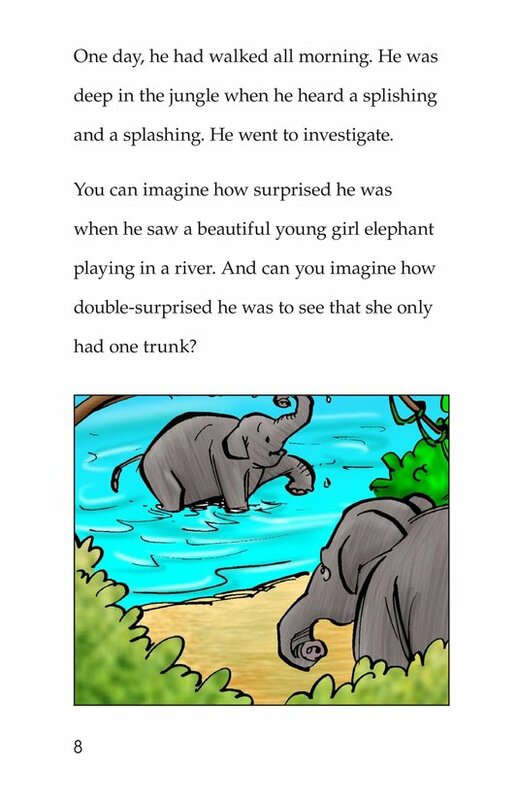 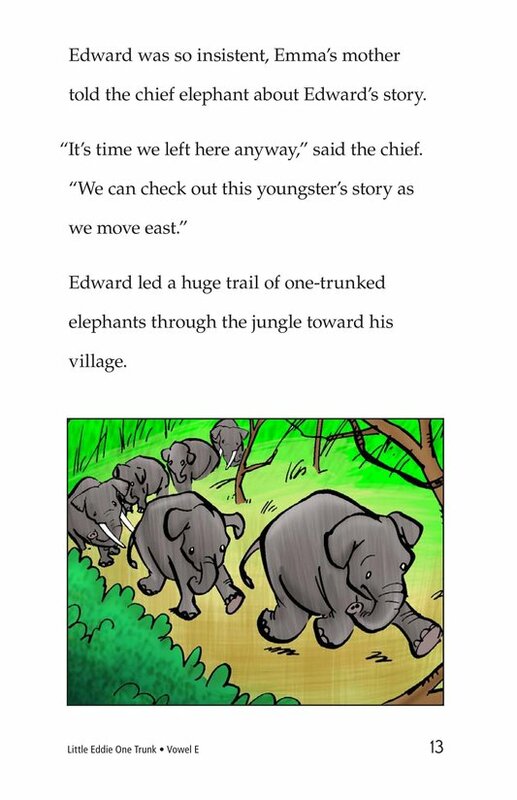 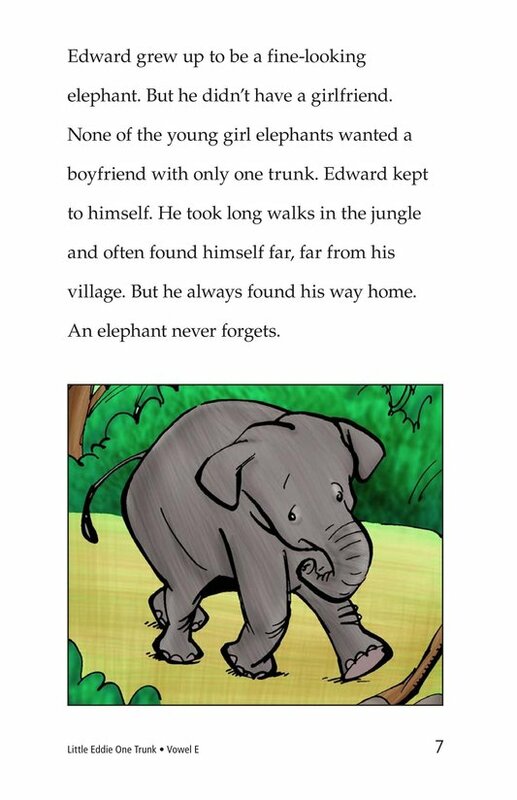 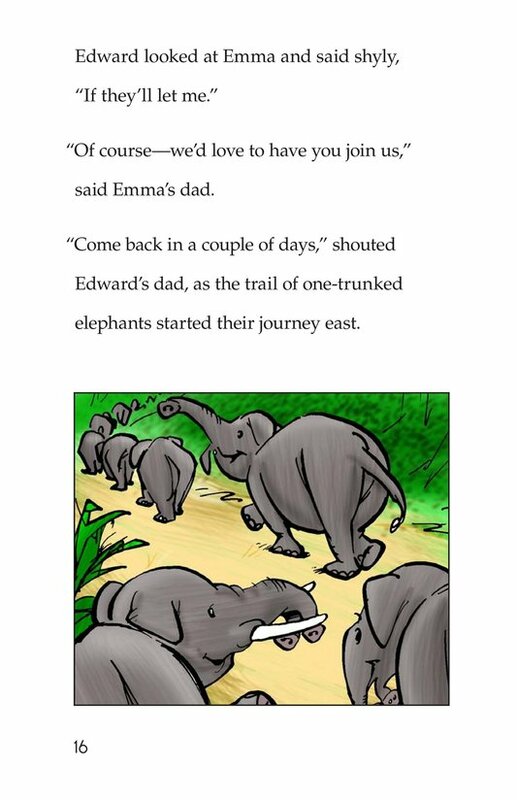 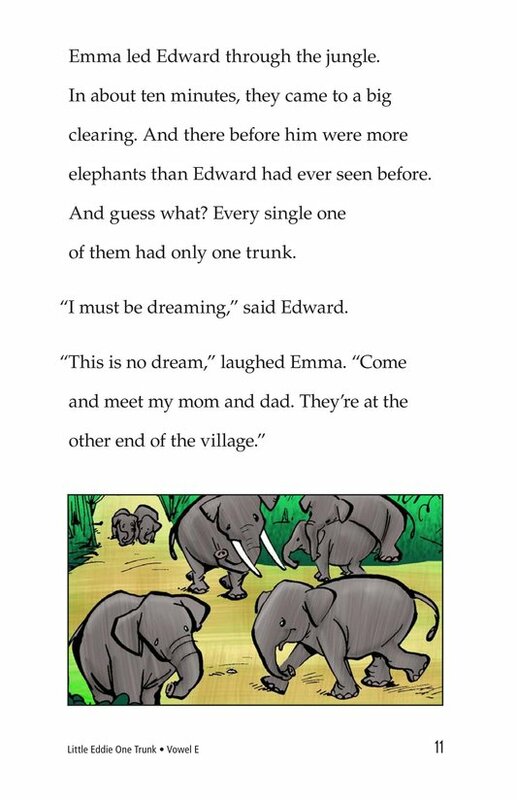 But one day while taking a walk through the jungle, Edward meets a group of elephants with one trunk, just like himself. 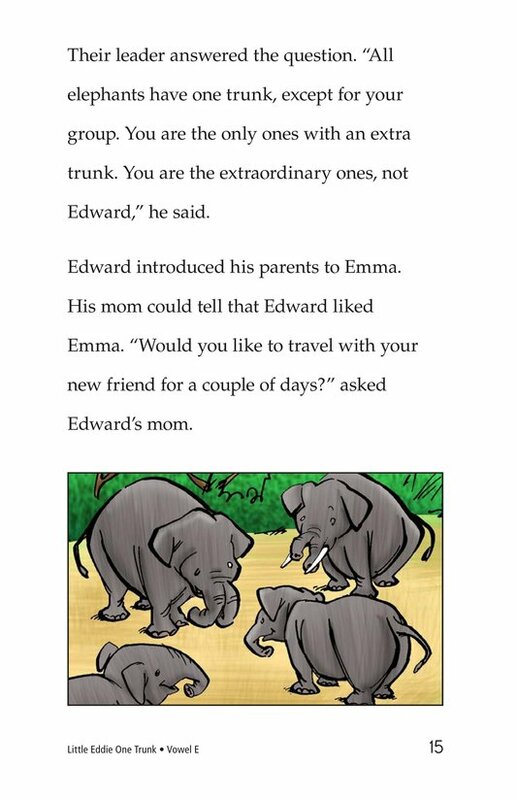 The group shows Edward that what is considered “normal” depends on your perspective. 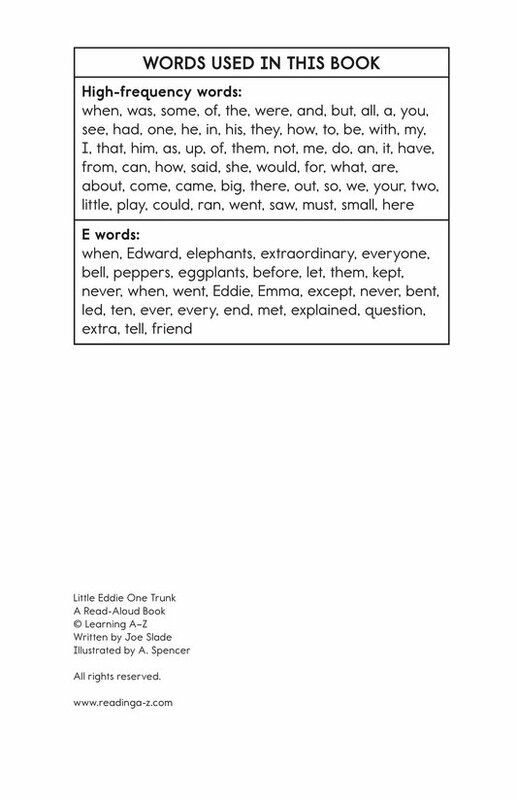 Introduce and expose students to the short /e/ vowel sound represented by the letter e.